First off, I saw this picture on The Little Hen House blog and I had to share it. LOL. But seriously, get out and vote! I've been on the lookout for some more personalized art for my house. I can't tell you how many pieces of mass-produced art I've bought from HomeGoods and later returned because they didn't "mean anything" to me. I got an early Christmas present yesterday when I ordered the Silhouette Cameo. I CAN'T WAIT to get it!! I have so many fun projects planned. In the meantime, I've been scoping out Etsy for some inspiration. 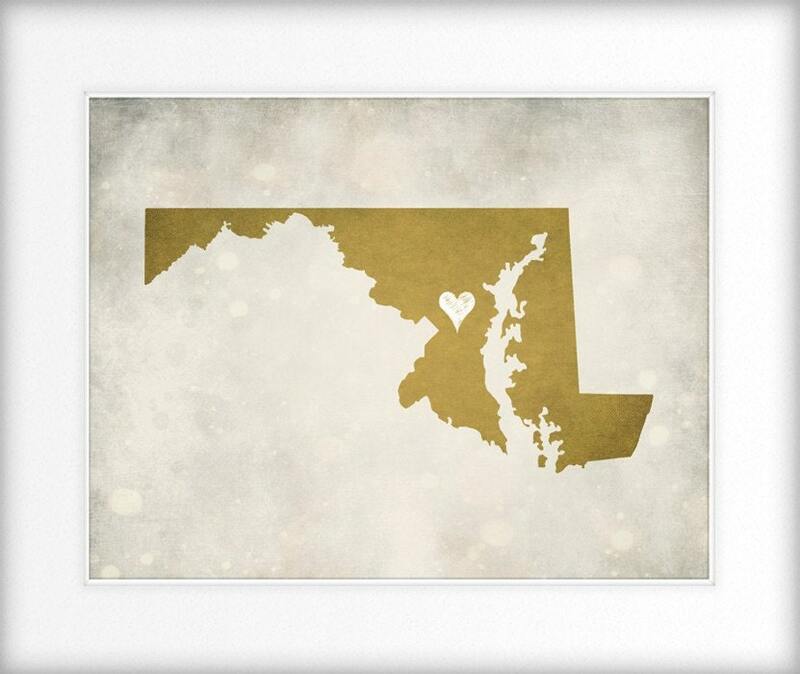 I'm in love with these personalized state maps from WORLDofMAPS. You can place a heart on the town of your choice and they come in a variety of colors. I'm thinking about buying 3 "M" states. 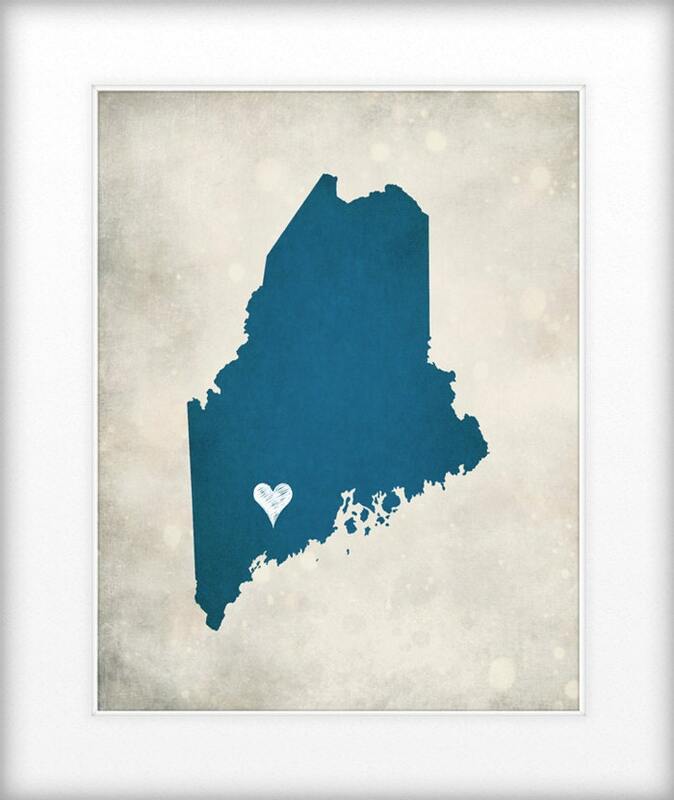 Maine (my home state), Maryland (my husband's home state), and Massachusetts (our new together home state). 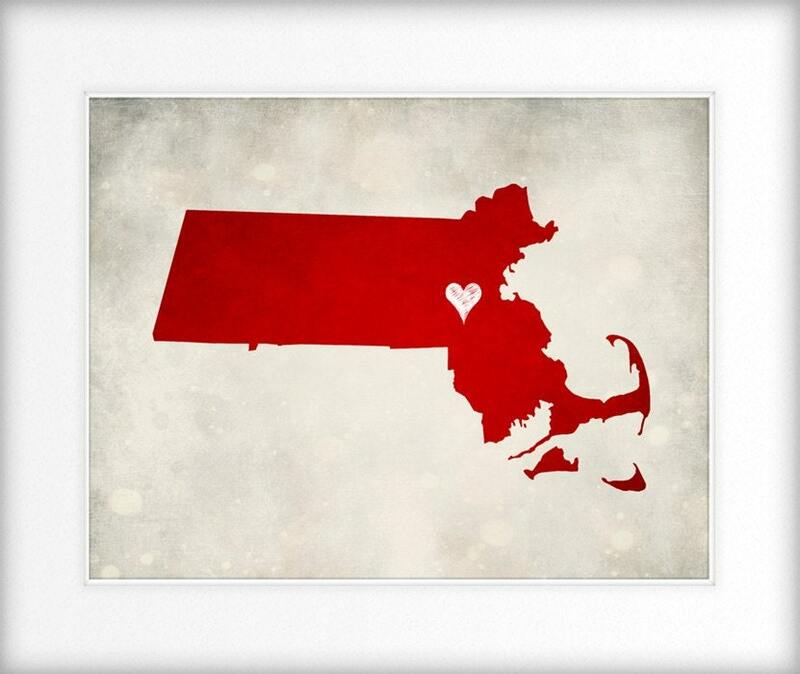 Awwww, Massachusetts looks so pretty; of course, I'm partial: born and raised! Thank you for these links! Love the state art! I really, really want some kind of state art for our house!